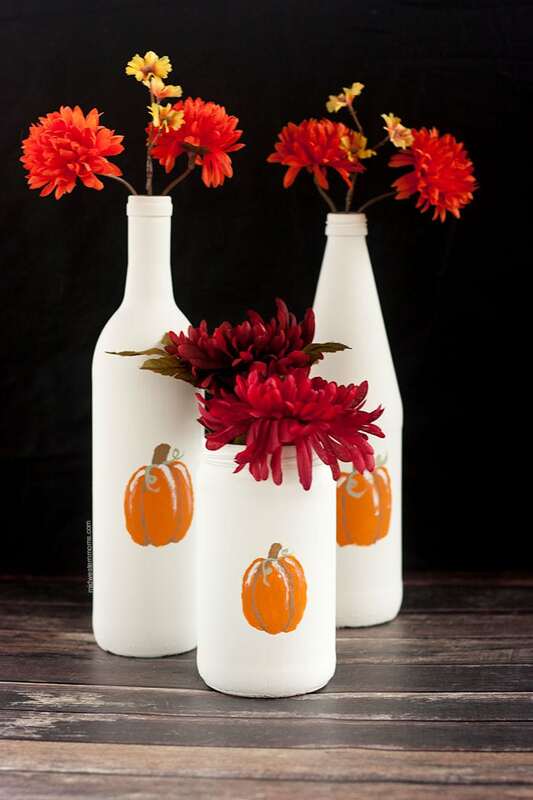 Simple DIY Painted Pumpkin Bottles. A perfect way to reuse empty bottle into fall decor! I am trying to get into the fall spirit lately (see my mason jar centerpiece) and pumpkins are perfect for fall. I got brave with this project as I chose to hand paint the pumpkins. I do wish they came out a little better, but not bad for the first try! 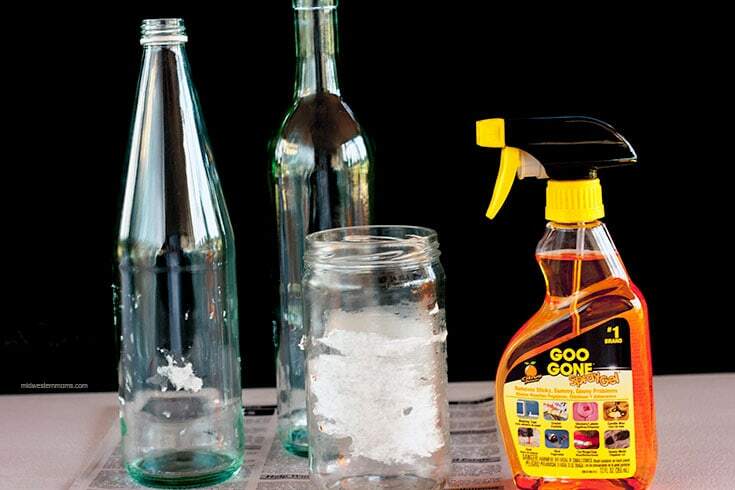 I used empty bottles for this project that I had around the house. They were: wine bottle, lemonade bottle, and a pasta sauce jar. 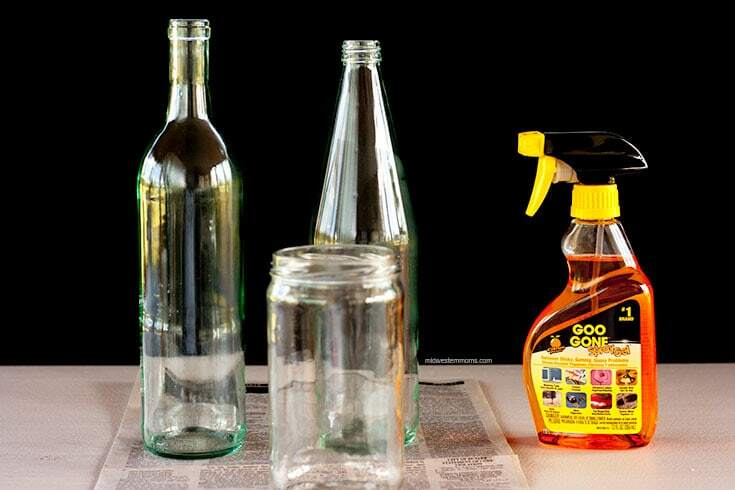 Step 1: Clean out the bottles or jars. Step 2: Soak the bottles or jars in water to loosen the labels. Step 4: To help get rid of all the stickiness from the labels, use GooGone Spray Gel. Read the instructions on how to use. 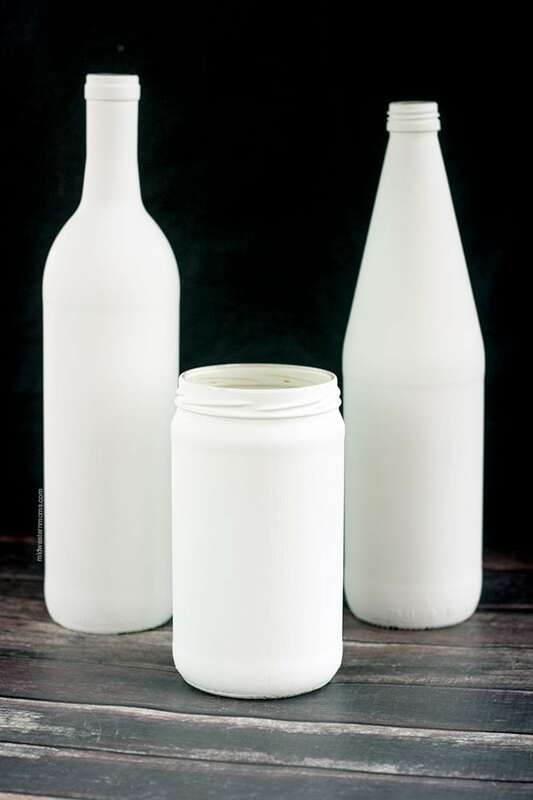 Step 6: Put 2 coats of the plaster colored chalk paint on the bottles. Allow to fully dry between coats and before moving to the next step. 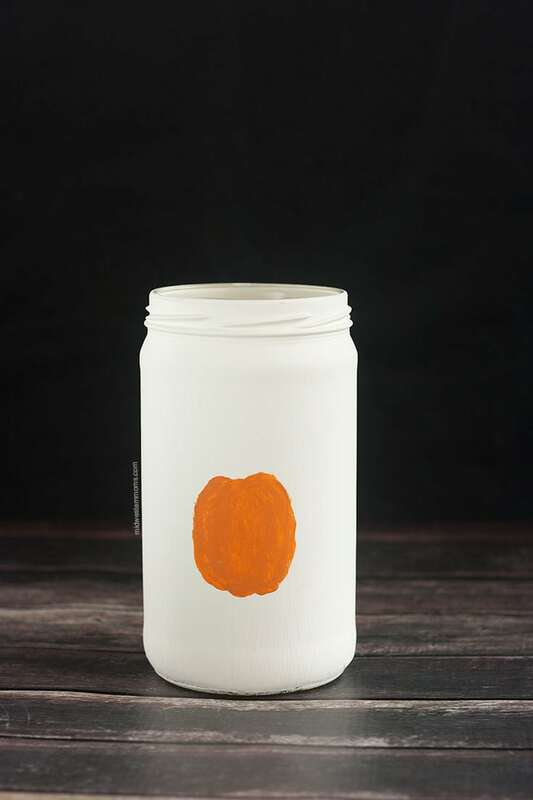 Step 7: Using the pumpkin colored chalk paint, paint your pumpkin shape. You may need 2 layers of paint. Step 8: The pumpkin looks like an orange blob. So using your brown chalk paint, add a stem and put some curved lines. The darker curved lines will add dimension to your pumpkin. Step 9: Using the plaster chalk paint, paint some highlights on the pumpkins. Step 10: Using green chalk paint, add a few vines to the top of the pumpkin. After is it all dry, you can spray it with a sealant to protect your artwork. Add some flowers and your bottles are done! Want to know where I got the GooGone? 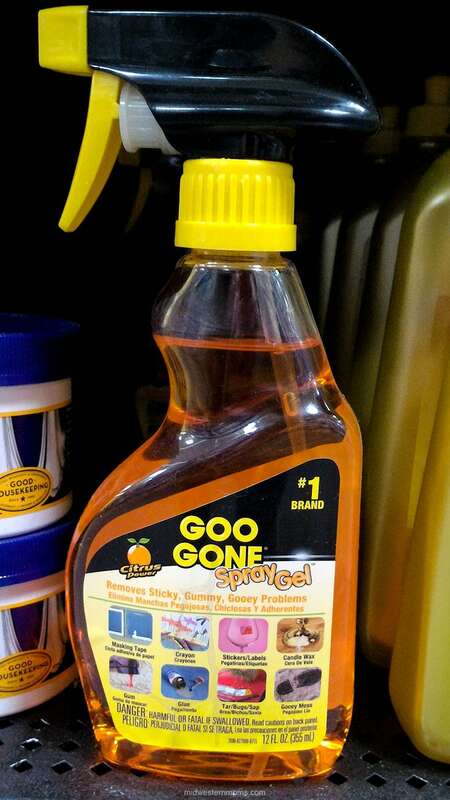 I as able to find it in the cleaning supplies at Walmart. At my store it was on the bottom shelf. How are you decorating this fall? Such a cute idea. I Have Goo Gone in my home. I have used it many times. Thank you for the info.